31 March 2014: Though born a Parisian in 1950, Martine Aubry now serves as mayor of the northern city of Lille and since 2008 as leader of the French Socialist Party. The daughter of former European Commission President Jacques Delors, she joined the Socialist Party (PS) the same year as her father. She was educated in economics at both of France's elite institutions for public servants, Sciences Po and the École nationale d'administration (ENA). Aubry's status as an énarque typifies the PS' longstanding association with the institution and the dynastic elements of her and her father's careers are intertwined with most of the party's history in government. Update 31 March 2014: Martine Aubry re-elected as Mayor of Lille. After her stints at Sciences Po (graduated 1972) and ENA (1975-1978), she entered the Ministry of Labour and Social Affairs and taught at the ENA until 1981 when, following François Mitterrand's election as president, she was attached to ministers Jean Auroux and Pierre Bérégovoy, for whom she drafted legislation. Aubry's father Jacques Delors served as finance minister (1981-84) under the administration of Pierre Mauroy, until his appointment to the European Commission in 1985. In 1989 she joined the nationalised Pechiney aluminium company as Deputy Director-General. Aubry entered government herself in the administration of Edith Cresson (briefly France's only female prime minister and then Delors' successor as French EU Commissioner) in 1991, serving as minister of labour, as well as under the government of Pierre Bérégovoy (which replaced Cresson's after the 1992 regional election defeat for the PS). She lost ministerial office with the downfall of the Bérégovoy administration in 1993 following its routing in the March parliamentary elections, the worst result since the party's formation. In 1995, during the right's period of national office (1993-1997), Aubry secured election as first deputy mayor of Lille, serving under Pierre Mauroy, the city's mayor since 1973 (including while prime minister) who had acted as regional baron since the PS' foundation. One of the reasons attributed to Jacques Delors' decision not to seek the PS nomination for president that year following Mitterrand's retirement and his tenure as EC President (which eventually became a face off between Lionel Jospin for the Socialists and Paris mayor Jacques Chirac for the Gaullists) was that he did not wish to impair his daughter's own political career. Aubry's career in national politics was resuscitated however when the PS returned to government under prime minister Lionel Jospin's cohabitation government in 1997, becoming labour minister once more. It was during this period that she entered the national political lexicon, as the sponsor of the 'Aubry Law', more commonly known as the 35-hour working week, thus enacting a key demand of the 1981 Mitterrand socialist programme. Her political legacy intact, she retired from the cabinet in 2001 and secured election as mayor of Lille in May of that year. In doing so, she replaced Mauroy, whose retirement was predicated upon his earlier elevation to the presidency of the intercommunal Urban Community of Lille Métropole (1989-2008). As party secretary (1988-1992) Mauroy mediated in the internecine conflict between rival camps, which played out during the latter years of Mitterrand’s presidency as his successor was sought, including the stunning 1993 defeat and the party's loss of the presidency two years later. Aubry herself received a surprise defeat in the 2002 parliamentary elections, held after the Socialists' first round exit in the presidential poll, for which an effectively leaderless party and an overcrowded left field (for instance, the maverick candidature of former PS minister Jean-Pierre Chevènement) were blamed. The UMP's candidate and her successor in the National Assembly seat, Sebastian Huyghe, then challenged Aubry as Lille mayor. She was comfortably re-elected as mayor in March 2008 however. In March 2014, she was re-elected to a third term as mayor. 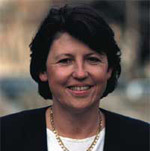 After having been vice president of the Urban Community of Lille Metropole since 1995, Aubry was elected president of the metro region in April 2008. The Urban Community was founded in 1967 and consists of 85 communes, including that from which its name derives. In addition to its representative and economic development functions, it administers Transpole, the public transport operator of the local bus, tram and metro systems. The Lille Urban Community is one of 14 in France (the second largest, after Lyon), which are the strongest and most powerful form of intercommunal arrangements available to French urban areas. Originally limited to just four (Bordeaux, Lille, Lyon and Strasbourg), their number and powers were expanded by a law introduced by interior minister Jean-Pierre Chevènement in 1999 following earlier attempts to merge the numerous communes. In November 2008 Aubry was selected as leader of the Socialist Party after a divisive congress. Aubry faced off as the candidate of traditionalists against former presidential candidate and moderniser Ségolène Royal, having attracted the support of former rival for the post Paris mayor Bertrand Delanoë. Aubry’s period of leading the party has seen a continuation in the decline of its fortunes, amid much internecine inter-party conflict between rival wings, with splits over policy and between generations. While the party has struggled nationally, it controls 21 of France’s 22 regions and the bulk of the country’s largest communes. Some argue that the party’s rebirth lies in the newer generation of local politicians, such as Evry mayor Manuel Valls, rather than relying on its ageing elite. Indeed in May 2012, Manuel Valls was appointed French interior minister in François Hollande's first government. After the Socialists' heavy losses in the March 2014 municipal elections, the French President appointed Valls Prime Minister. He replaced Jean-Marc Ayrault, the former Mayor of Nantes. But back in June 2011, Aubry became the first contender to declare for the Socialist ticket for the 2012 election, though in October 2011 she was ultimately defeated in the party's first ever presidential primary by Royal's former partner (and her predecessor as PS leader) François Hollande, who was elected French President on 13 May 2012. Her hopes of being appointed Prime Minister were dashed when the post went to Nantes mayor Jean-Marie Ayrault. She later turned down a consolation prize ministerial post as it was not sufficiently senior. In September 2012 she stepped down as Socialist Party leader. Martine Aubry is divorced from her former husband, Xavier, whose surname she carries. Aubry has published a steady stream of books on human resources, local government and current affairs, since her time as a ministerial adviser to the present day, and has been the subject of three biographies. She is a member of the Century Club, which seeks to bring together France's elite and most influential politicians, businessmen and writers. *First published in 2010, updated in 2011, in September 2012 and again in March 2014. The City Mayors Foundation invites you to nominate a candidate for the 2014 World Mayor Prize. The Prize is awarded every two years to a mayor who has made outstanding contributions to his / her community and has developed a vision for urban living and working that is relevant to towns and cities across the world. Previous winners and runners-up include the mayors of Bilbao, Perth, Mexico City, Oklahoma City, Cape Town, Zurich, Melbourne, Amsterdam, Athens, Mississauga and Tirana. The World Mayor Project aims to show what outstanding mayors can achieve and raise their profiles nationally and internationally. During the first round, suitable candidates may be suggested until the middle of May 2014. A shortlist of 25 nominees will be announced in June. Please nominate your candidate for World Mayor 2014 now.